Where’s the Boston Globe’s Wayne Woodlief Obit? 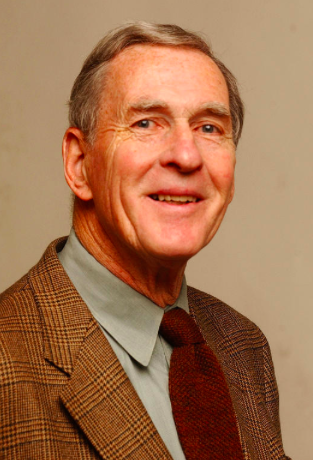 The redoubtable Wayne Woodlief – a gentleman journalist if there ever was one – died last week at the age of 82. His Boston Herald colleague Rachelle Cohen wrote a lovely tribute to Wayne this past weekend. This gentle man, still with a trace of a southern drawl — a legacy of his Virginia roots — always had time to answer a question, to share a bit of political history, to put a harried day into perspective for those who thought they would never make it through to deadline. There was no “crisis” that the man couldn’t talk you through. Alzheimer’s robbed us first of the man we all knew — the man who could list all the possible Democratic candidates in the 8th Congressional District race of 1986. Then early yesterday morning, it claimed the rest of him, when he died peacefully in his sleep. Joe Fitzgerald, a Herald columnist who rarely agreed with Wayne politically, also had kind words for him. We ribbed and teased each other so mercilessly that our friendship began to resemble a comedy routine, especially after this column left its longtime home in sports and moved onto Wayne’s turf, which was politics. That offered a mother lode of conversational ammunition, since he regarded this writer as something to the right of Attila the Hun while he was seen here as slightly to the left of whatever passes for normal these days. But you don’t poke fun at someone you don’t like, and Wayne was more than liked here. Indeed, he was admired, so much so that there was no better feeling than knowing you had earned his approval. Not a word yet from the Boston Globe. C’mon, Globeniks – you were quick enough to eulogize WBZ legal eagle Neil Chayet, another local media stalwart who passed away last week. Do the write thing and give Wayne Woodlief his due. This entry was posted on Wednesday, August 16th, 2017 at 10:29 am and is filed under Uncategorized. You can follow any responses to this entry through the RSS 2.0 feed. You can leave a response, or trackback from your own site. One Response to Where’s the Boston Globe’s Wayne Woodlief Obit?